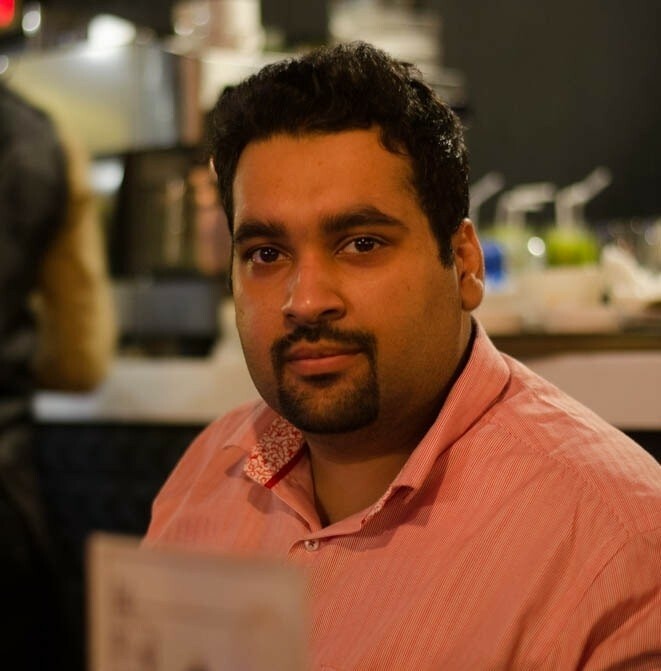 “People build websites, but with this blog, I didn’t build a website, but an asset” – Ali Raza. 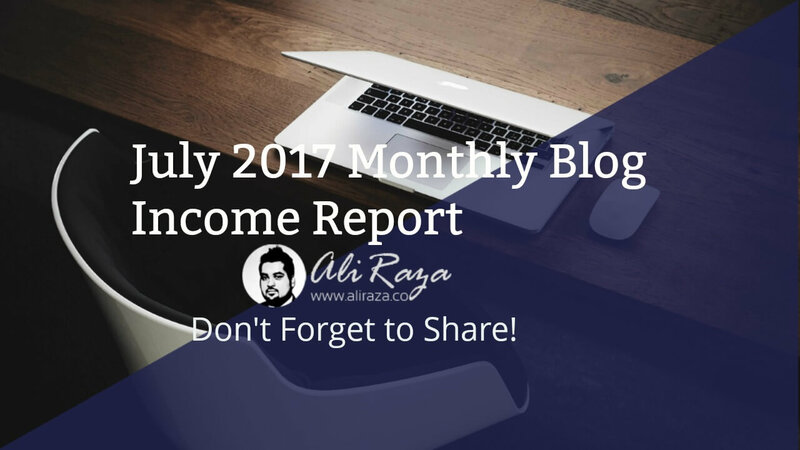 Welcome to the July 2017 Monthly Income Report for AliRaza.co. This is the 19th Monthly Progress Report of this Blog. The purpose of Monthly report is to review the amount of work I do every month, along with website, social media and subscribers statistics. In other words, I critique the performance of myself and my blog every month to see where i’m standing. For those who are wondering, where are the reports for April, May and June, let me speak that, for some reason, I temporarily stopped posting updates. 2 Posts Created In The Month of July, 2017. 4.1 Comparison with the Month of June 2017. I have started working again on the website, so you will see this section filled, next month. Posts Created In The Month of July, 2017. In the Month of April, 2017. The site has addition of 4 new posts. Online advertising has never been this easier and versatile. There was a time when online advertising used to be considered just an ad campaign on Google Adwords. Then the advent of the social media networks diversified the area of the online advertising. Checkout 4 New Amazing Ways you can try in 2017! It’s a review of the newly launched affiliate company, Cpamatica. The network specializes in dating and facebook offers, so if you have a traffic on facebook or relevant to dating, then do check it out. Are you struggling with Youtube? Do you WANT to Learn the EXACT Working Method of Youtube? Let me tell you, Talha Wahid has written an awesome guide with step-by-step information. Do checkout and let me know your thoughts! 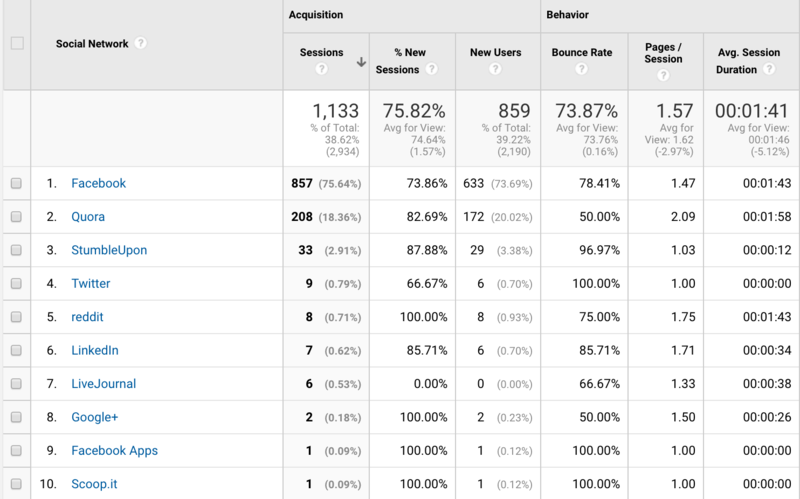 Here are the traffic stats for the Month of July, I received a total of 2288 number of unique visitors, 2934 Sessions and 4753 Page Views. 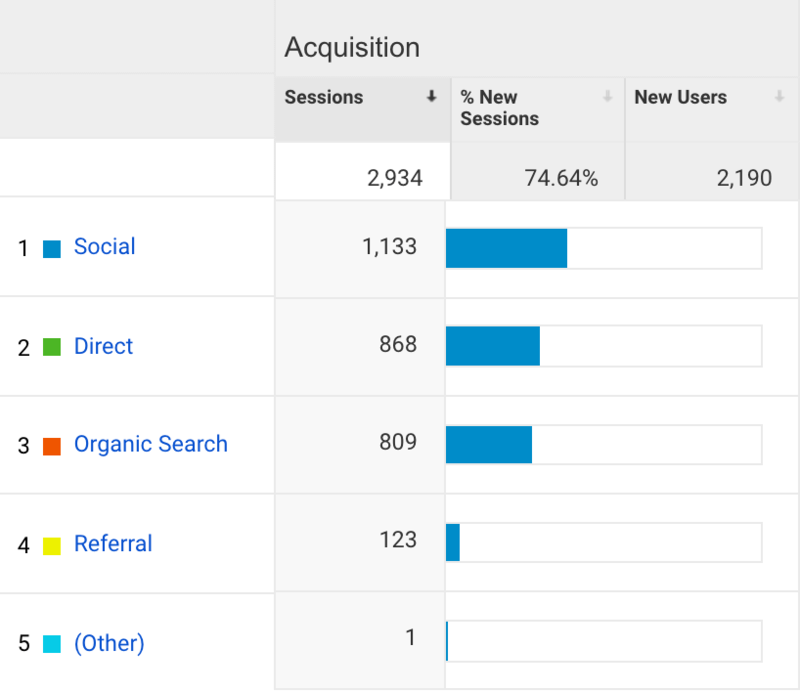 Let’s have a look on the traffic sources to get an idea on what are the top traffic acquisition sources for this blog in the month of July,2017. Comparison with the Month of June 2017. 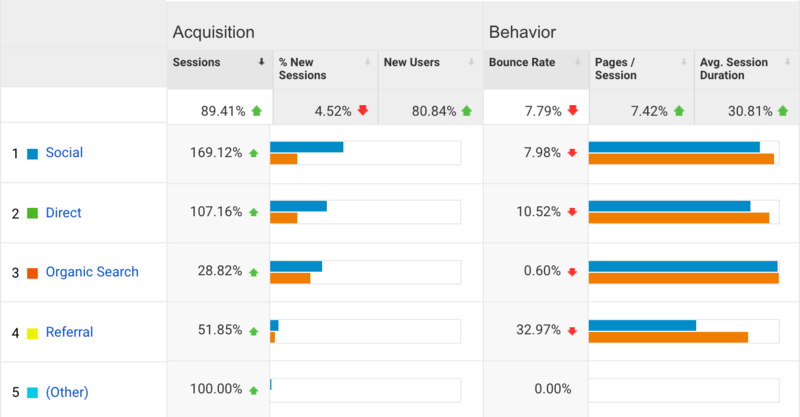 July saw great improvement with as much as, 89% overall increase in traffic. Page Views saw an huge increase. Organic traffic is going good, but I’m focusing more on building relationship with my audience and turning them into a repeating audience. Major traffic came from Social media but this is the first time, Direct traffic came on 2nd spot. Checkout my recent guide on How to Make Money on Internet where i have discussed 200 exciting ways of how to make money online for free. Highest amount of visitors were grabbed by Exact method of earning on Youtube! How To Make Money From Instagram? article came again in top 10, cool thing. Below are the updated stats till 31st July 2017. Overall, a total of 6800 people are following me over social media except the following on my person facebook account. Let’s have a look on the traffic I received from Social Media Traffic, last month in July. Facebook has always been a constant performer and generating top traffic from me, usually it was sending me 90% of total traffic but my latest tweakings at Quora, the number is reduced to 75%, still it’s good. In July, I was being mentioned at two different places. Firstly, I was mentioned at Rehan’s blog on his roundup post about : What Mistakes Do Newbies Make At Starting?, thanks Rehan for the mention and good luck with your new blog! Then I was mentioned at Adeel Sami’s blog in his latest roundup, 27 Masters Giving Their Two Unusually Actionable Tips to Write Blog Post To write blog post. You are extremely going well with your blog, i have best wishes for you to succeed. This month, consultation revenue were increased little bit and i earned $100 . Please keep in mind that I do have an online advertising agency as well but i keep their earnings separate even if that is of just consultancy. P.S. Just for a re-cap, it was $837.96. Great month as compared to the last one. I plan to write 4 new posts. I want more seats to be sold for my upcoming training sessions so many people can take benefit in one go. Anyway, Thanks for reading my July 2017 report, hope it was a good read for you. Few metrics are missing as compared to usual report, but things will go good with the next month report, stay tuned for that. As always, I’m open to criticism, what are your thoughts on my blogging strategy? Did i miss something? What do you want me to add in my monthly reports article? Every appraisal and criticism is welcome here, please do comment on what you think. And MashALLAH, you’re doing just wonderful! Thank you so much for your words. I think your comment was missed, it’s approved now, apologies.